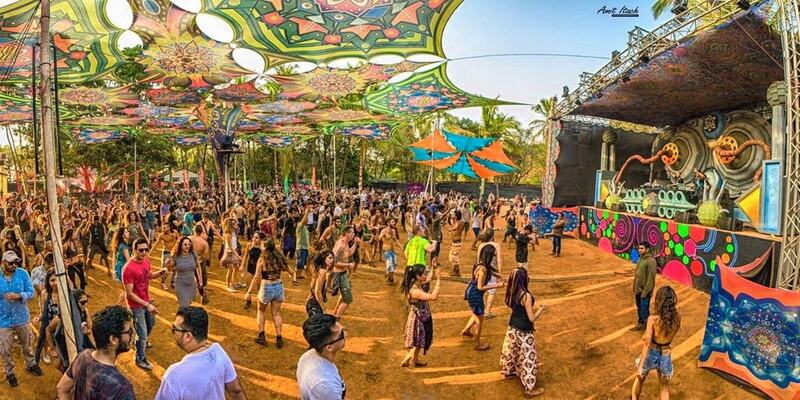 Goa is not just about the beaches or its famous nightlife. There are so many things to do here, limitless opportunities of entertainment and fun that even the most seasoned traveler will find it difficult to choose. In fact, there is something to do for everyone here, adults and kids, those interested in nature and adventure, water sports, food and drinks lovers, people keen about art and history, culture, religion, and those who just want to have fun and do some shopping or people who just want to relax while in Goa and get back home completely recharged. It’s always good to know in advance all the things you can do in Goa so that you can plan your activities. The fact is that, it may be difficult for most people to do everything on a single visit in just a few days. That’s one reason why many keep coming back to Goa again and again. Of course, many fall in love with Goa and make plans of returning even before they go back home. This guide will help you plan better and decide the activities you want to do while in Goa, so that you don’t miss out on anything. Don’t just restrict yourself to some beach hopping, partying, lazing at the shacks, and drinking your Feni. 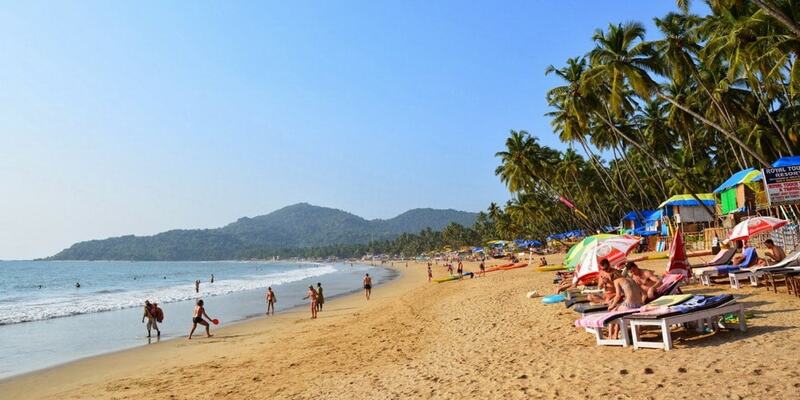 The beaches of Goa will always top the list of any tourist. There are many of them to choose from as well, from the North to the South. Select wisely because you cannot possibly visit them all. North Goa beaches are busier with a lot more activities, parties, and shopping. The beaches in the south are more serene and peaceful. There is more nature in the South too. Relax on the beach at a shack, get a massage, enjoy food and drinks, and go for a swim. Top Goa Beaches – Baga, Candolim, Calangute, Anjuna, Vagator, Palolem, Colva, Cavelossim, Benaulim, Majorda, Chapora. There are many water sports activities to choose from, almost throughout Goa. There is parasailing, windsurfing, speed boat and banana boat rides, waterskiing, water scooters, boogie boarding, dinghy sailing, and more. Of course, there is swimming too at the beaches. But remember, there are rocks in many Goa beaches. Also, watch out for riptides. There are lifeguards at the most popular beaches, but not all. You can also try deep sea fishing in Goa. Best time for water sports – Try early morning for windsurfing or parasailing as the morning breeze is light and calm. You can do boating throughout the day. Water sports activities are mostly closed during the rainy season, as it can be too risky. 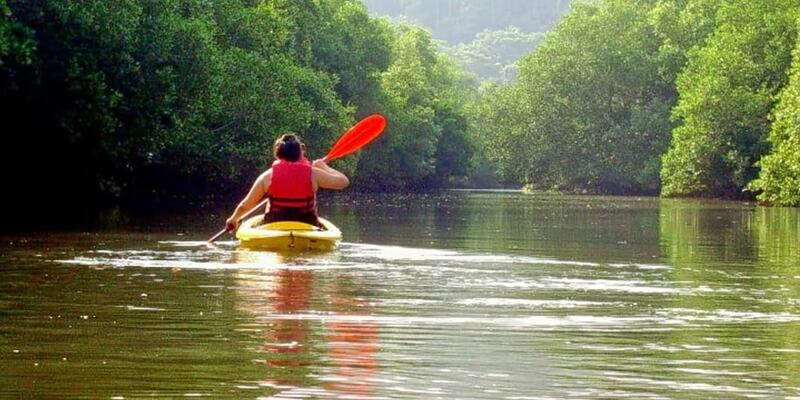 Kayaking in the backwaters of Goa could be an experience of a lifetime. Gently glide through the calm waters as you get close to the birds, bats, and the occasional dolphins. This tranquil experience will give you beautiful memories. You can see the villages, churches, and the daily life of the Goanese people as well. If you want more excitement and adventure, then why not try whitewater rafting. Take on the challenge and ride over the rapids. It is sure to give you an adrenalin rush. 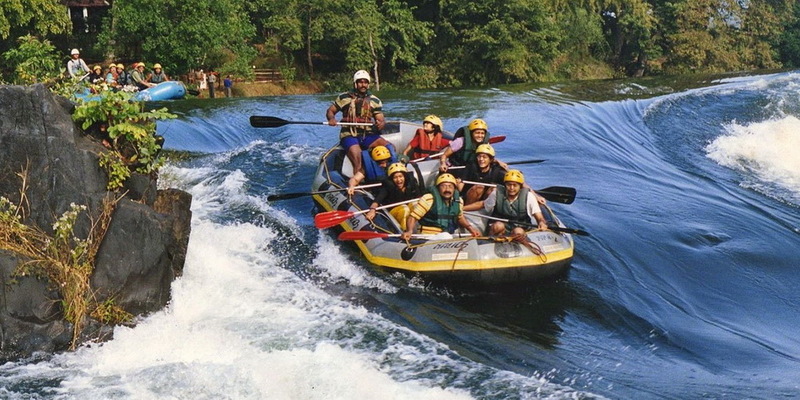 There is whitewater rafting in Goa at many places – Valpoi River, Mhadei River, and the Mandovi River. The cost will be between 1,500-2,000 INR per person, which includes basic lessons, safety briefing, lifejackets, and rafting gear. Best time for whitewater rafting – The monsoon season between June and September when the rapids are the wildest. Head to Grande Island near Vasco da Gama for a day of swimming, snorkeling, and scuba diving! Equipment is available on hire. There is basic training as well. Explore the many famous dive sites and ship wrecks, or just skim the surface to see colorful marine life. You can finish the day with a barbecue. Snorkeling is also available at Bogmalo Beach in South Goa. 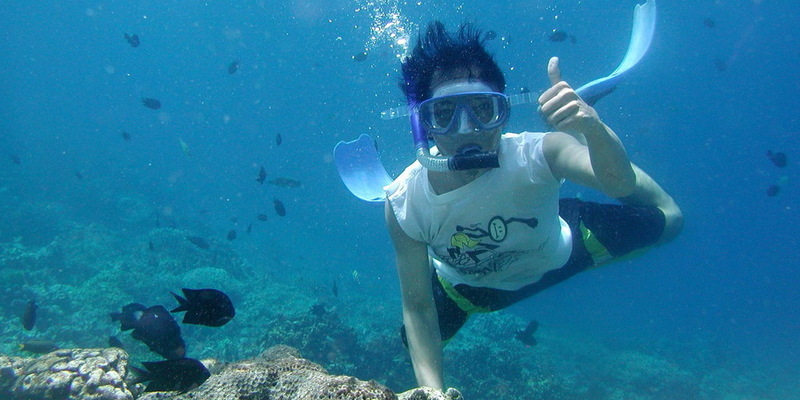 Best time for snorkeling, scuba diving – Between November and April. 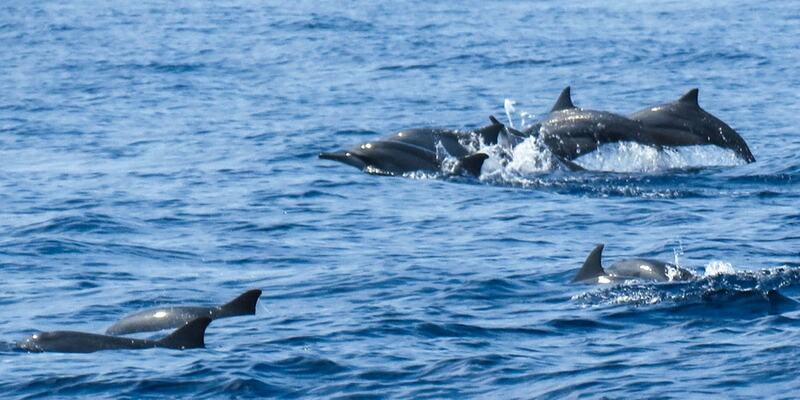 Go on a boat trip for a chance to come face to face with the amazing dolphins. You can see dolphins close to the shore at many places in Goa, like Candolim, Calangute, Sinquerim, and the Varca Beach. You can see them also at Grande Island, and sometimes even in the rivers. There is such a high chance of a sighting that many operators offer ‘no dolphin, no pay’ service. There is cruising on the Mandovi River and on the Sal River in the south. There are all types of cruises to select from, such as dinner cruises with Goan music, food, singing, and dancing. 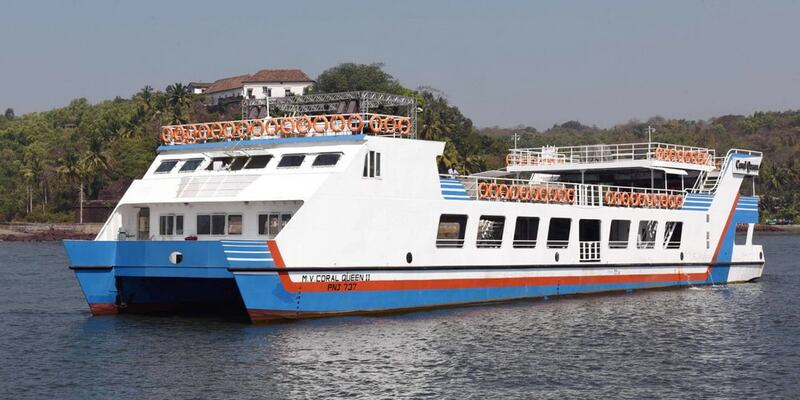 Goa Tourism Department runs popular river cruises, but there are also private operators. Try a candlelight dinner cruise for a more private and memorable experience. There are 1 hour and 2 hour river cruises and sunset cruises as well. You can also go on a backwater or a houseboat cruise, or hire a yacht or catamaran for a few hours or the entire day for exclusive cruising. Best time for cruising – Throughout the year, except the monsoon. Cruising is most popular in the winter season, though. Witness the aroma of spices, and learn how they are grown at the spice plantations in Goa. See some exotic spices that became India’s first exports. See cardamom, Peri Peri, which is one of the world’s hottest chilies, and more. You will also see many exotic birds. A spice plantation is a photographer’s delight. Ride an elephant or splash water with them, giving them a bath. Before leaving, enjoy a traditional Goan lunch that is cooked with farm spices. Paragliding is a fun and adventure sport for the thrill seekers. 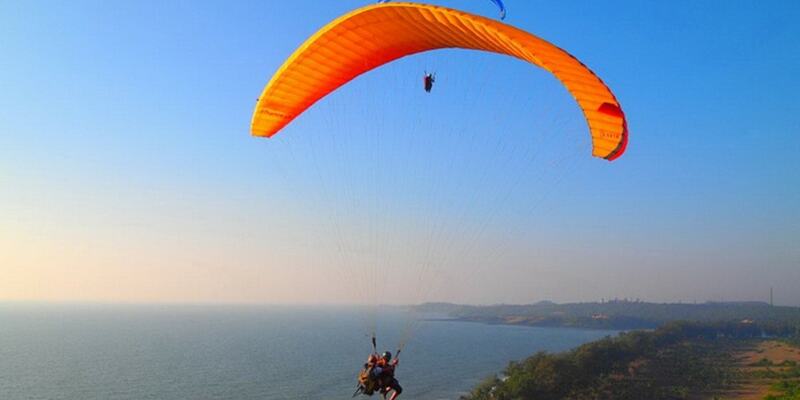 You can enjoy paragliding at Arambol beach in north Goa for just 3,000 INR an hour. There are shorter duration trips as well. Take off after some basic instructions and safety check and glide gently up in the sky, helped by your instructor, of course. The flight will actually start from a cliff between the Arambol and Harmal beaches. See wonderful views of the sea, the cliffs, beach, and the countryside of Goa. Best time for paragliding – Anytime of the day except late afternoon when the wind may pick up. Avoid the monsoons months – June, July, and August. Goa is the only place in India where gambling is legal. 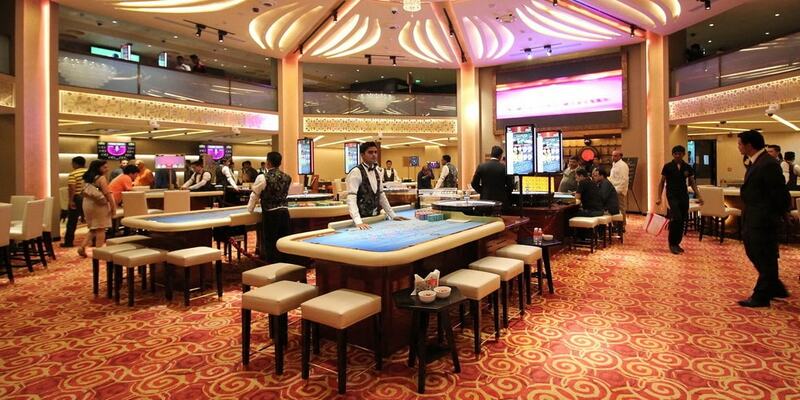 You can try your luck at roulette, slots machines, Indian Flush, poker, black jack, baccarat, and other games. There is live music and dancing, Russian dancers, stand-up comedy shows, and separate entertainment zones for the kids as well. Deltin Royale, Casino Paradise, Deltin Jaqk, Casino Carnival, Casino Pearl, Casino Pride, and Casino Paradise are some of the biggest names. Where in Goa – Most of them are floating casinos on ships. There are casino games at a few land-based private resorts as well. When in Goa, you have to party on the beach. 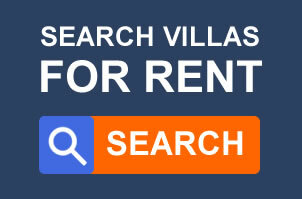 In North Goa, choose from Baga, Candolim, Calangute, and Anjuna. St. Anthony’s Bar in Baga is a great place from where you can see glorious sunsets. There is live music at Curlie’s and Café Lilliput in Anjuna. In the South, Cavelossim and Palolem are hot party destinations. Many beach shacks are transformed into nightclubs after dark, so you can party right on the beach. There are other beach parties as well, playing trance music. 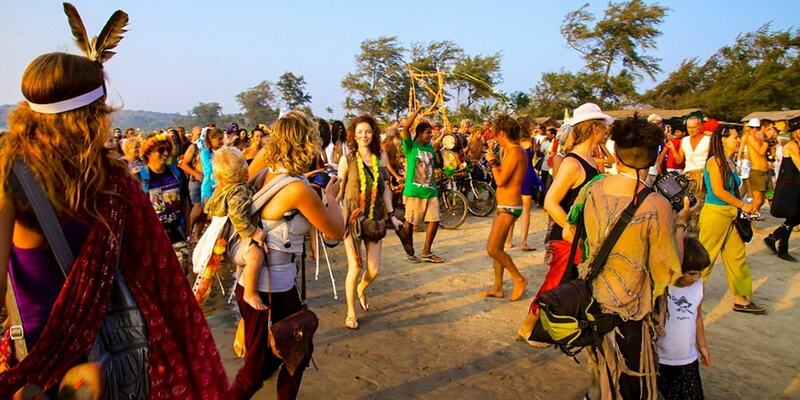 Goa became famous in the 1960s and 1970s as a hippie destination. The hippie culture is mostly gone now, but you can still get a henna tattoo, braid your hair, and make dreadlocks to bring out the free hippie spirit within you. It’s good to unleash, break free sometimes, and let your wild side out. Goa is just the right place for an image makeover. Where in Goa – You will find tattoo stores and hair clinics throughout Goa. Rated 4.56 / 5 based on 9 reviews.